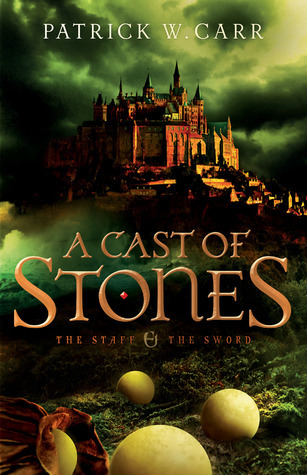 Like several other fantasy series, I found this book because the author offered the first installment for free on Kindle. A book for free? I’m there. It is from the Christian fantasy genre I’m trying to break into (even though it is really more of a “New Adult” rather than “Young Adult” book). The allegory seemed to be strong and subdued at the same time (hopefully I’ll make this clearer than Northwest Fog before the post is done). I have to admit, I didn’t really like this book in the beginning. The main character was a drunken sod whose only goal was getting enough coin for his next tankard of ale. Not my sort of hero. A dark reason for his obsession is hinted at but not revealed until well into the novel. It took a few hard knocks before Errol was able to let go of that craving and embrace the destiny thrust upon him. Carr did a good job ramping up the tension and throwing another monkey wrench into the plot when things seemed to get a little better for the hero. By midpoint, I was routing for Errol and trying to figure out the huge secret everyone kept hiding from him. The allegory in this book is clear to me but not too overt as to be offensive to people who don’t want to see it. Carr has built an entire religious system around worship of “The Three” and shows us the divisions among that system. There are heroes and villains inside the church system; people who are only in it for power or wealth or position, which relates well to the world in which we live. The fantasy elements contain both the tried and true and unique. Rather than using familiar beings like elves and dwarves, Carr creates his own unique races of people and steers away from using any of the classic terms. This creates more work for him, but he does a great job dropping the information we need to understand along the way. I found the “magical” system intriguing and will be interested to see how the author develops it in the next book. As you read, you will see that the mystical is tied to the religious beliefs of the participants. No wizards or witches here. Instead, healers and herbwomen or readers and omres. Yes, there were a few things that seemed to happen too easily or made me think “really? That’s how you’re going to solve that?” But is there a perfect book? No. Even the books I love contain little things that could be improved. After all, I’m a perfectionist and an author. This is a New Adult novel, I think, but mature young adults and older adults like me will also find it enjoyable. There is plenty of tension and action and the characters are engaging. As I mentioned, this is the first in a series called “The Staff and The Sword.” I purchased the second book from Amazon for my Kindle. I didn’t start reading it immediately, but as I finish this post for my blog, I’m halfway through. What’s the rush? After all, the third book won’t be released until February 18, and it is priced beyond the top of my “I’ll pay that amount for an eBook” range. Guess that means I might have to buy it in paperback. How do I get to the stuff in back? In other words, I let my sister convince me to host a garage sale. Nightmare is somewhat of a euphemism. If you’ve ever held one, you know what I mean. 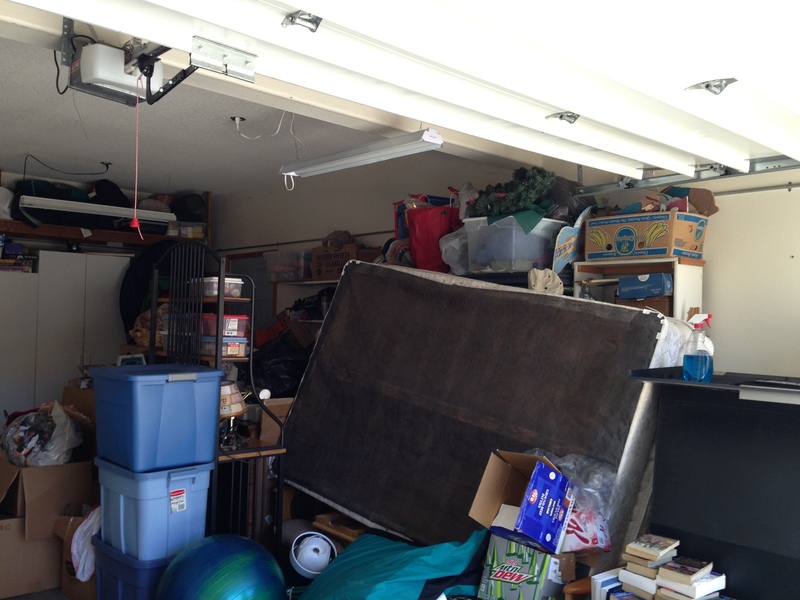 Aside from enjoying the lovely pictures of my garage – before the sale, I’d like to give you a private tour of what I was thinking along the way. Why did I buy this in the first place? Some of this is college dorm room stuff. Someone’s willing to pay for this? Boy, I need to get a library card. I’m glad I have that Kindle app. Why do we keep this stuff we don’t ever use? In fact, I have some more items that are antique dishes or crystal that I am going to move to the new house. My mother-in-law would kill me if I sold it at a yard sale. Funny story: My mother-in-law gave me this lamp, bronze with a lion-shaped base, that was from the home of an older lady they knew. A few years later, I donated to the church garage sale and someone bought it for $5. Apparently, it was worth $200 or more and if they had given me the pair (Jeff’s cousin got the other one), we could have sold them for $500. Who knew? Yeah, the table is hiding the treasures that have been there awhile. 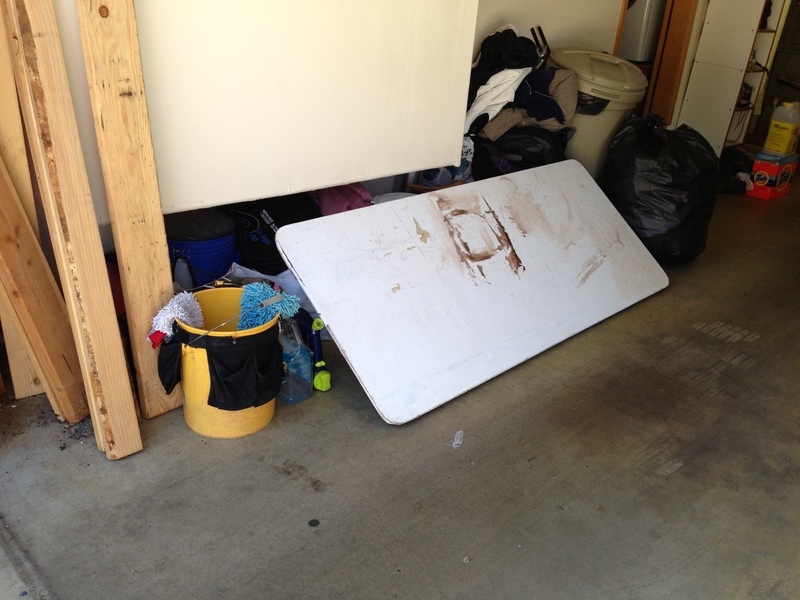 Would you rather take it all to the junk yard or have a yard sale? How do you get rid of all that junk that piles up? By the way, stop by today and help me unload some of this stuff. 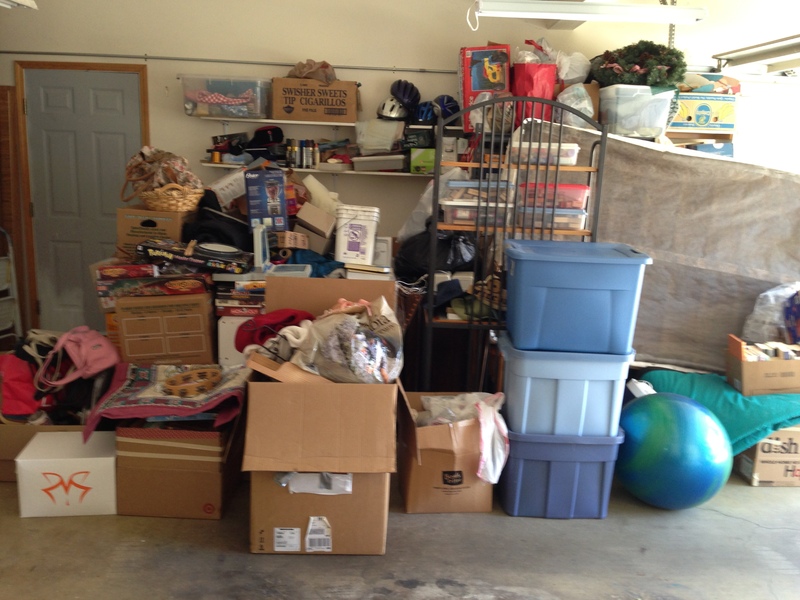 Garage sale – today!